Hostel Facilities your home away from home.. Living away from home in student accommodation is a great way for you to make new friends and integrate quickly into university life.  PDM University has a good range of comfortable, secure and reasonably priced accommodation, More than 700 students live on the campus and enjoy the beautiful facilities at the campus. Spacious rooms, 24 hour power back up, wi-fi connectivity, AC/Cooler are some of the basic features of hostels at PDM campus. ATM facility exists inside the complex for benefit of all the students staying in the hostel. Wi-fi facility for students and staff. 1250 KVA capacity generators for 24 hours power supply. Safe and sound campus fully covered by more than 350 CCTV cameras. Evening Library facility for hostelers.